COLUMBUS, Ohio, June 9, 2011 – The largest U.S. utility, American Electric Power, today said the company would have to retire nearly one-quarter of its coal-fueled power generation capacity to comply with a series of regulations proposed by the U.S. Environmental Protection Agency. AEP said the cost of its compliance plan could range from $6 billion to $8 billion in capital investment through the end of the decade. High demand for labor and materials due to a constrained compliance time frame could drive actual costs higher than these estimates. “We support regulations that achieve long-term environmental benefits while protecting customers, the economy and the reliability of the electric grid, but the cumulative impacts of the EPA’s current regulatory path have been vastly underestimated, particularly in Midwest states dependent on coal to fuel their economies,” said Michael Morris, AEP chairman and chief executive officer. “The sudden increase in electricity rates and impacts on state economies will be significant at a time when people and states are still struggling,” Morris warned. But several of the EPA deadlines have been set by federal courts and are beyond the agency’s control. 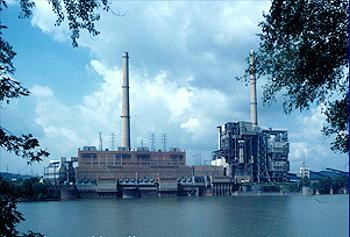 AEP owns and operates about 80 generating stations in the United States, with a capacity of nearly 38,000 megawatts. 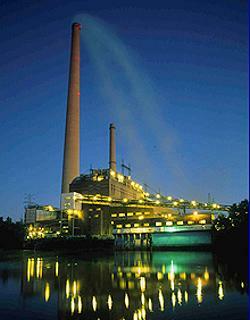 Nearly 25,000 megawatts of that generation capacity, 66 percent, is fueled by coal. Natural gas and oil represents 22 percent and nuclear six percent. The remaining six percent comes from wind, hydro, pumped storage and other sources. Based on the regulations as proposed, AEP’s compliance plan would retire nearly 6,000 megawatts of coal-fueled generation and upgrade or install new advanced emissions reduction equipment on another 10,100 megawatts. Under the compliance plan, AEP would also refuel 1,070 megawatts of coal-fired generation as 932 MW of natural gas capacity and build 1,220 megawatts of natural gas-fueled generation. Although some jobs would be created from the installation of emissions reduction equipment, Morris said AEP expects a net loss of approximately 600 power plant jobs with annual wages totaling approximately $40 million as a result of compliance with the proposed EPA rules. AEP’s announcement brought an immediate outcry from the current and former governors of West Virginia, a coal mining state where AEP plans to retire three coal-fired power plants. But environmental groups support the EPA’s regulations. “The coal plants targeted for phaseout lack modern pollution controls and contribute to thousands of premature deaths, asthma attacks and heart attacks every year. It is time to replace these dirty and dangerous energy sources with clean, safe and reliable forms of production that will create thousands of jobs and revitalize local communities,” said Hitt. In Ohio, AEP would close the 100 megawatt Picway Plant in Lockbourne, Ohio and shut down five units at two other plants for a total loss of about 1,100 megawatts by 2014. However, AEP will complete construction of the 580 MW natural gas Dresden Plant in Dresden, Ohio, in 2012. U.S. Senator Rob Portman, an Ohio Republican who serves on the Energy and Natural Resources Committee, today said that the closure of these generating sources due to the new EPA regulations will have a “dangerous effect on Ohio’s economy.” The closures would result in the loss of 157 jobs, $10.4 million in annual wages and $9.1 million annually in tax revenue, said Portman. Electricity costs for consumers and employers would increase by 10-15 percent, he warned. Morris said the AEP compliance plan, including retirements, “could change significantly” depending on the final form of the EPA regulations and regulatory approvals from state commissions.